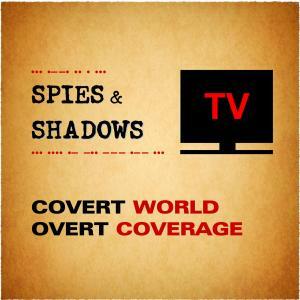 The host of the Spybrary Spy Podcast is spy fan Shane Whaley. Shane Whaley has been a fan of Spy literature and spy movies since he was a kid back in the UK. ‘I think my first foray into spy books was Biggles and from there onto Leslie Charteris’s Saint‘. I was hooked on these books and luckily my school library back in Wales was stocked with Biggles (Capt W E Johns) and The Saint books. I believe there were almost 200 of these books published so I was spoiled for choice. In his 20s Shane Whaley gave up on most fiction, ‘I tried Le Carre’s ‘A Small Town in Germany‘ but only got a few chapters in and aborted it. I mainly read non fiction biographies in a quest to learn more about fascinating figures from the spy, military and political world. In my 30s I re-read the whole Ian Fleming James Bond books and was hooked again. Fleming led me to Le Carre who led me to Deighton and now through Spybrary and the great recommendations I receive from guests and the Spybrary facebook group I am reading a lot more widely in the spy/espionage thriller world. Shane’s favorite spy author is without a doubt John Le Carre though he is closely followed by Len Deighton. My favourite spy is probably Charlie Muffin, the creation of Brian Freemantle. Scruffy, non Oxford educated but with a razor sharp intellect, he is my guy! I know most Spybrary fans are die hard fans of Alec Guiness’s Tinker Tailor Soldier Spy. I think Sandbaggers edges it because its not one story, each episode in the 3 series featured a different story and plot. Shane Whaley set up the Spybrary Podcast as most of his friends are not into spy lit. ‘I would read a spy book, either fact or fiction and then not have anyone to talk to about it. I hope Spybrary adds another dimension to the books we all read. I have made some great friends around the world who love their spy books and are so knowledgeable. I am delighted that a few of these fellow spy lit fans are open to coming on the show and talking spy books and movies. I do not see Spybrary as the Shane Whaley Show, I just want to ask the right questions and get out of the way! Future plans for Spybrary include panel discussions and even some meetups, starting in London this year, prior to the John Le Carre talk at the South Bank Centre. Shane would love to hear your suggestions and ideas for Spybrary.